New Elle & Company E-Course Dates and Details! 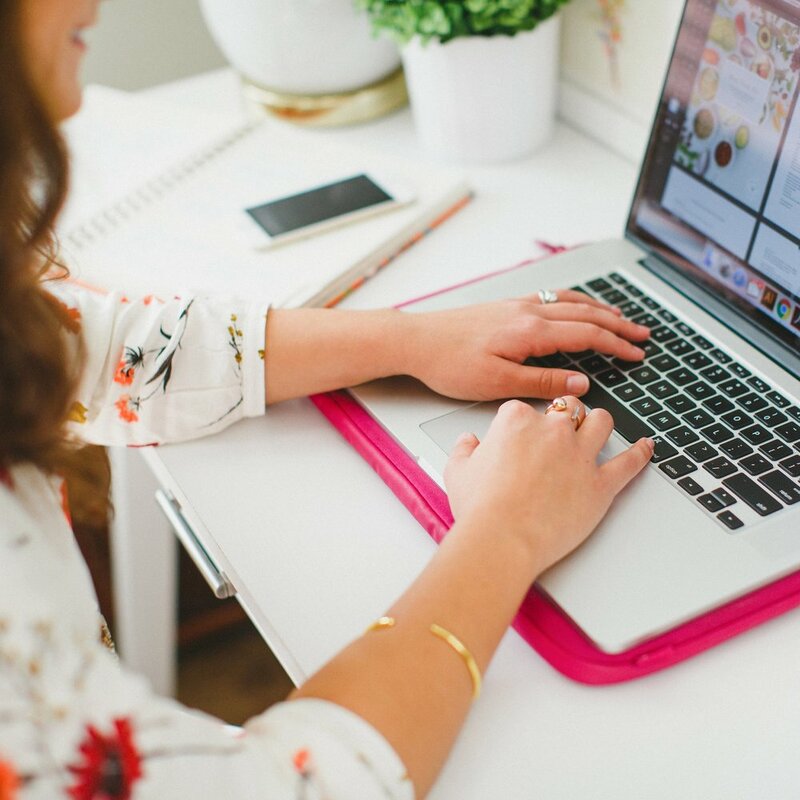 When I first started Elle & Company a year and a half ago, my design background gave me an edge in the areas of blogging and business. Because of my experience and training in design school, I was able to easily (and affordably) create my own logo, blog graphics, and website. I felt comfortable designing a cohesive visual identity for my new business. But I quickly realized that this isn’t the norm. Many creative entrepreneurs, especially those who are just starting out, feel intimidated by design. They run into design needs often, but they don’t know how to create a strong, unified first impression for their audience. They’re often a tight budget, as well, and may not be able to hire an experienced designer. So last winter I began to brainstorm ways that I could meet the design needs of bloggers and business owners. And that’s where the idea for these upcoming Elle & Company e-courses formed. I’m excited to dive into the details of our upcoming e-courses and share some new dates with you today. I’ve built these courses with you in mind, to give you an advantage in the area of design and allow you to feel more comfortable and competent creating graphics for your blog and/or business. Before we ever started any of our formal design courses in college, we had to spend time learning the software. I spent a semester learning the ins and outs of Adobe Creative Suite, but Adobe Illustrator was the program I kept coming back to time and time again to create logos, design collateral items like business cards, and illustrate advertisements. And while Illustrator came in handy for all of my undergrad design projects, it’s proved to be even more useful now that I use it for my own blog and business. And that list doesn’t even begin to cover all the items I design for my clients using Adobe Illustrator. So when I brainstormed ideas for teaching bloggers and business owners the ins and outs of design, I knew I needed to start with the basics of Adobe Illustrator. I’ve launched two rounds of this course so far and I limited the number of attendees to 40 each time. But because of the increased interest about the course this past summer, I’m offering Round 3 to a larger number of participants! Here’s a look at what attendees can expect from the course. Format: This course is made up of 5 60-minute lessons, one for each week of the course. Each lesson will be emailed to participants at the start of the week and added to a password-protected e-course page on the Elle & Company website. Extras: Each lesson will have a tangible learning outcome specifically geared toward bloggers and business owners (i.e. inspiration boards, blog graphics, social media icons, media kits/pricing guides and digitizing type). A PDF guide will be provided at the outset of the class for cheat sheets and notes, and practice assignments will be made available with each new lesson. A live, 2-hour webinar will also be hosted at the end of the 5 weeks for an extended Q&A. For those who aren’t able to attend the live event, the webinar will be recorded and made available to all e-course participants. The password-protected e-course page with all of the recorded lessons and practice assignments will be made available to participants for 1 full year after the course ends. This allows attendees to take their time moving through the curriculum and reference the lessons as they continue to practice using the program. Waiting list: Registration opens in just a couple weeks (keep scrolling to find out the date and details), but I’m offering an exclusive opportunity for those on our Adobe Illustrator e-course waiting list. If you haven’t already, be sure to sign up below! This quote captures the essence of the newest Elle & Company e-course. 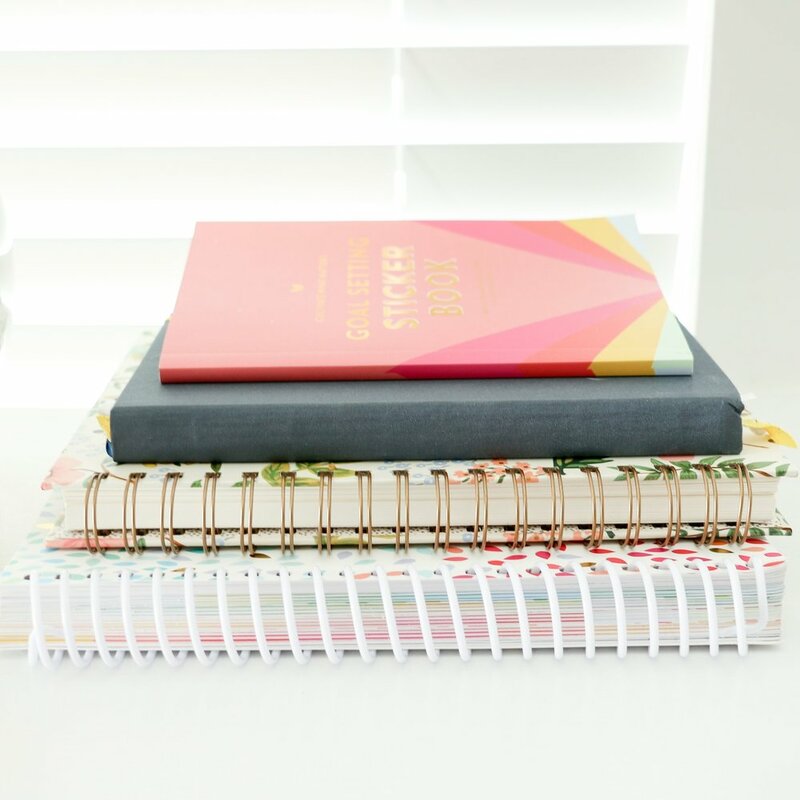 The Design Your Brand e-course is designed to teach bloggers and business owners the basics of designing for themselves and creating a streamlined, professional brand. Instead of feeding attendees for a day by providing a generic logo, this class provides attendees with the tools they’ll need to create a cohesive visual identity that can last years and possibly the lifetime of a blog or business. It builds a strong foundation so participants can continue to build their brand long after the course is over. This is an affordable design option for those who are just starting a business, those who are seeking a more cohesive brand, or those who are in need of a refresh. Attendees will walk through the design process I use with Elle & Company clients from start to finish, beginning with the mission and direction of a brand to the final collateral designs and website. Format: This course is made up of 5 90-minute lessons, one for each week of the course. Each lesson will be emailed to participants at the start of the week and added to a password-protected e-course page on the Elle & Company website. Extras: A PDF guide will be provided at the outset of the class for questionnaires, cheat sheets and notes, and actionable steps will be made available with each new lesson. Attendees will also have access to templates for inspiration boards, media kits/pricing guides, and brand style guides. A live, 2-hour webinar will be hosted at the end of the 5 weeks for an extended Q&A. For those who aren’t able to attend the live event, the webinar will be recorded and made available to all e-course participants. The password-protected e-course page with all of the recorded lessons and practice assignments will also be made available to participants for 1 full year after the course ends. This allows attendees to take their time moving through the curriculum and reference the lessons as they continue to develop their brand. Waiting list: Registration opens in just a couple weeks (keep scrolling to find out the date and details), but I’m offering an exclusive opportunity for those on our Design Your Brand e-course waiting list. If you haven’t already, be sure to sign up below! Are you interested in joining in both Elle & Company e-courses? Since both the Design Your Brand e-course and the Adobe Illustrator e-course go hand-in-hand, we’re bundling the two at a discounted rate of $500! The e-course dates were also planned for those who hope to participate in both offerings. Those who choose to bundle the two courses will start with the Adobe Illustrator e-course from August 24th through September 21st and end with the Design Your Brand e-course from October 5th through November 2nd. We’re simplifying registration for the Adobe Illustrator e-course, Design Your Brand e-course, and the E-Course Bundle by making them all available on the same day! E-course registration will open on Wednesday, August 12th from 9:00am to 9:00pm EST. Registration will only be open for 12 hours, so be sure to mark your calendars and grab your spot on August 12th!